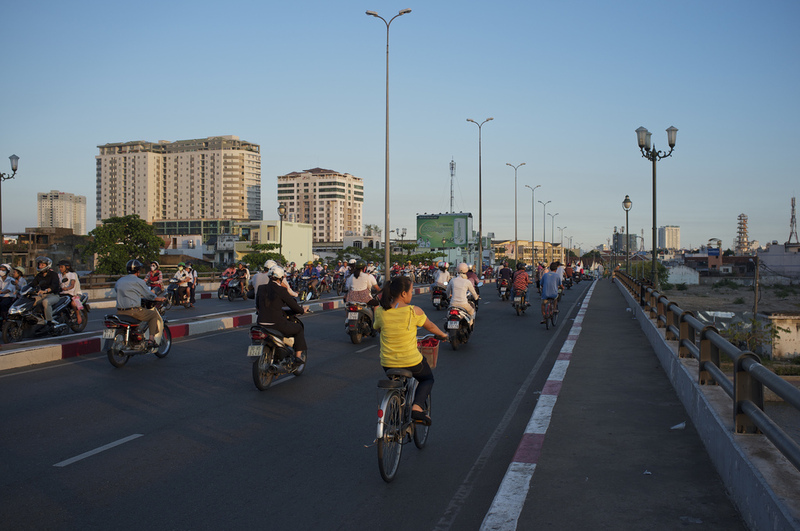 There is a noticeable schism between two of Vietnam’s most well known cities. 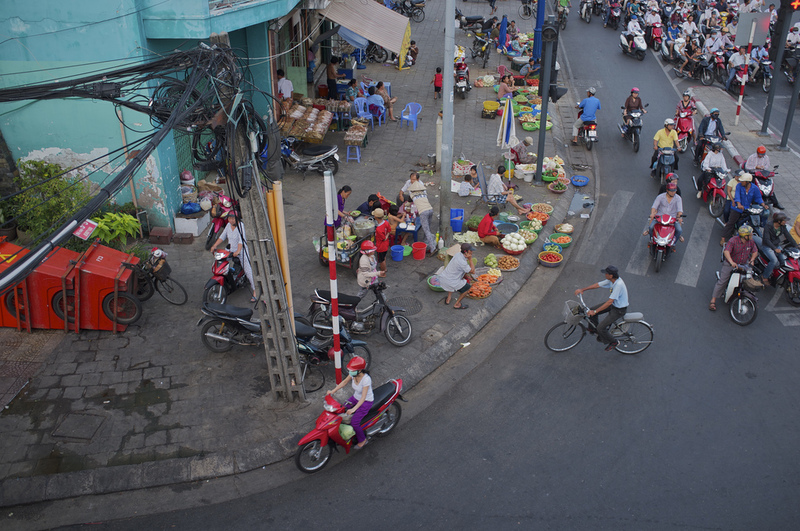 On the one hand, you’ve got Ha Noi, with it’s quaint charm and faint French-colonial vibe, and on the other you’ve got the progressive and ever-growing Ho Chi Minh City, or Saigon as the locals still like to call it. Fast becoming one of the key commercial hubs in Asia, this type of urbanisation filters right down to the type and flavour of Saigon highlights. Free citywide wireless Internet anyone? 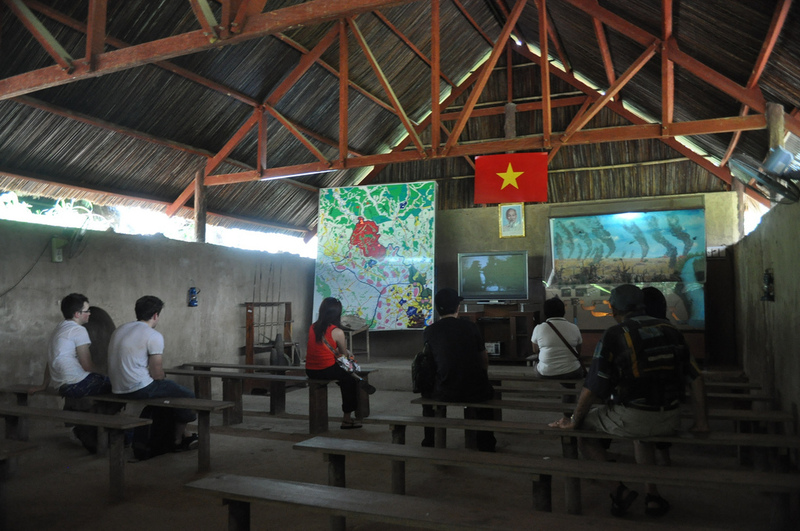 It is this Vietnam North/South variance in contemporary values and westernization that sees Saigon bustling with change. For a city more than twice the size of the nation’s capital, it’s not hard to fathom that so many high-rises, international hotels, sky-high bars and luxury housing developments are going up as far as the eye can see. 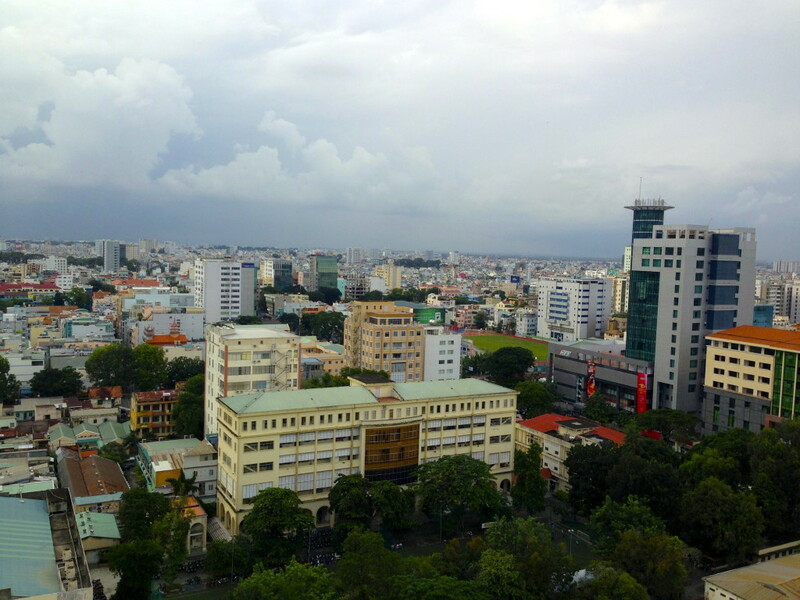 The city is also bustling with new inhabitants from the north and inland Vietnam keen to land one of the many jobs on offer in the finance, retail and IT sector. Of course, you can still see sights of historic significance, but these take a back seat to the cosmopolitan atmosphere of a city that has visibly eschewed the “old ways” in favour of economic growth. We all know the old adage: “the best way to see a place is through the eyes of a local”. Well, Adam from Saigon Unseen Tours can do you one better. Not only is he an Aussie expat turned local, he offers tours through the city the way locals see it – by motorbike or scooter. Now, before you conjure up images of piloting your very own two-wheel contraption, constantly cheating death while darting amongst the infamous Asian traffic, just know that the bikes are driven by very experienced drivers who live in the area, so the only thing you’ll be doing is hanging on (and seeing the sights of course). The great thing about each tour is that they’re private, meaning that the itinerary is pretty much malleable to you and your travel buddies’ desires. Minimum one person. Cost: 900,000VND (approx.. 45USD) per person – Pay on the day. 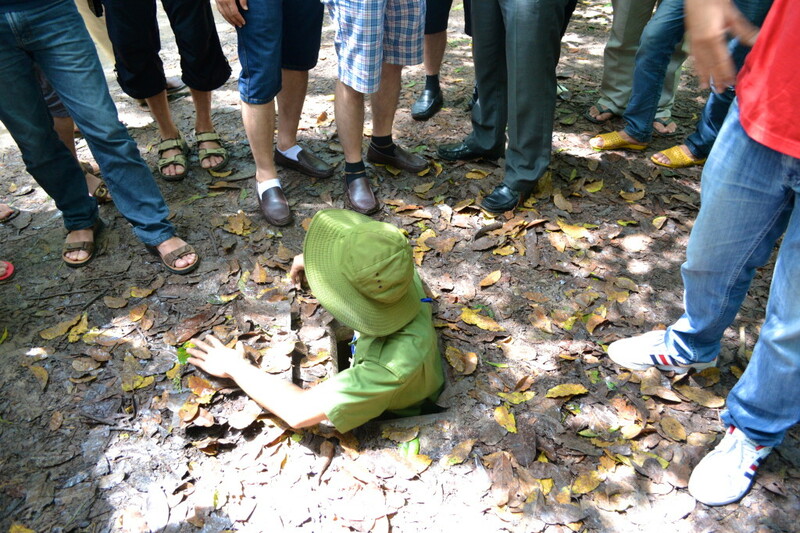 The Cu Chi tunnels are tiny. And I mean like, really really miniscule. 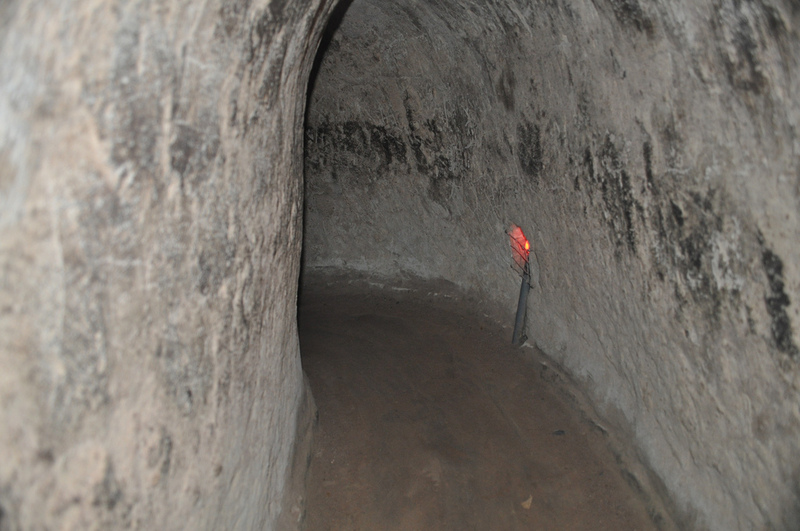 They are also quite fascinating: a three-level tunnel system the Viet Cong constructed and used as a base against the French and Americans in the 1970’s. It was essentially an underground camp with a hospital, command centre, kitchens, bunks, military workshops; basically every conceivable function imaginable needed to execute a guerrilla war. I have no idea how the Vietnamese actually fit let alone lived in these tiny dugouts but you have to respect their strength, intelligence, and resolve! 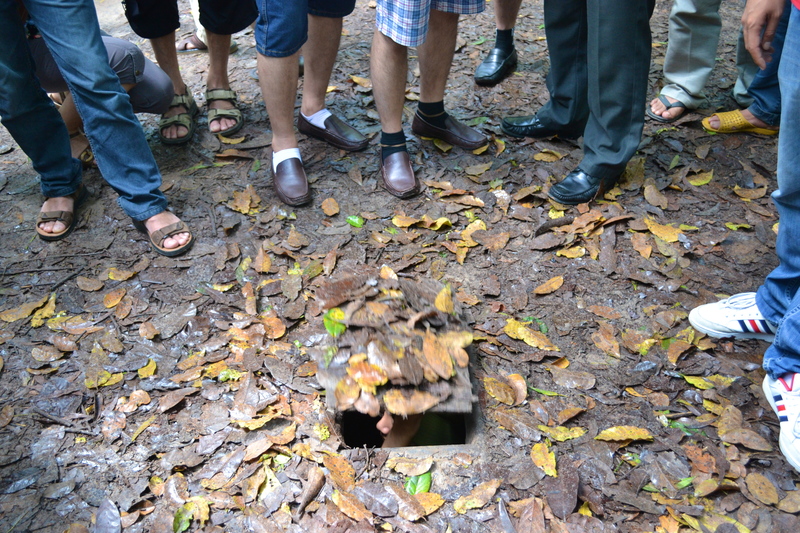 Urban Adventures runs half-day tours out to the site (about 1.5hrs from Saigon) with a maximum group size of 12. Many other tourist operators take very large groups so this is the way to go for a more individual experience. Plus the bus is air-conditioned. Cost: 950, 000 VND (approx. 47USD) per person. Usually a boutique hotel aficionado (you can’t beat the quirky design-driven details and unique personalised service), I stayed at the Sofitel Saigon out of sheer convenience. The ‘boutique hotel’ craze hasn’t exactly hit HCMC as yet and the location of the Sofitel is smack-bang in the middle of the CBD. Can’t hurt, right? I also had it on good authority from a fellow traveller that the Caravelle Hotel, another 5-star rated offering in the city, was a little lacklustre. Looks can be deceiving, and what appears to be an extremely dated 1970’s high-rise building located just a hop, skip and a jump from the US embassy is quite lovely on the inside due to a recent renovation. The staff were very attentive, as you would expect from the chain, but the language barrier was frustrating at times. The food was extremely overpriced (even for Sofitel standards) and there was no Pho or rice-paper rolls on the menu (what the) and not to mention Gluten-Free options (which I would expect from an international hotel chain). This is a fine and comfortable business-type hotel, which is an ideal stay for up to 3 days due to proximity to the city. If you dream of crustaceans smothered in a sweet and tart tamarind sauce then make sure you visit Cua Lot and ask for their to die for fresh Soft Shell crabs with glass noodles. Tip: If it’s too hot downstairs, ask to be seated upstairs because its got A/C. 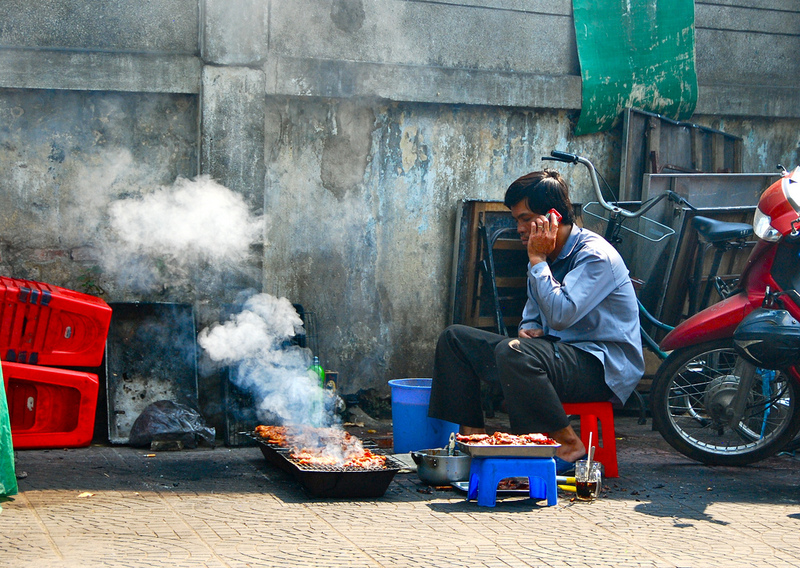 If you’re looking for a novel restaurant experience, then you need to visit Cơm Niêu Sài Gòn. Anthony Bourdain named the Vietnamese Gastronomy Restaurant as ‘the one place visitors shouldn’t miss’ in Ho Chi Minh City because of its truly cultural experience. Specialising in clay pot baked rice, which explodes across the table and over the heads of the customers after shattering the crockery, it is then dressed with scallions and sauce. This restaurant is the perfect eatery for those who wish to experience street food in exquisitely designed surroundings. Exceptional dishes include the com dap with its delicious combination of nuoc mam and sesame seeds over crispy rice, along with the seafood pan-fried noodles. 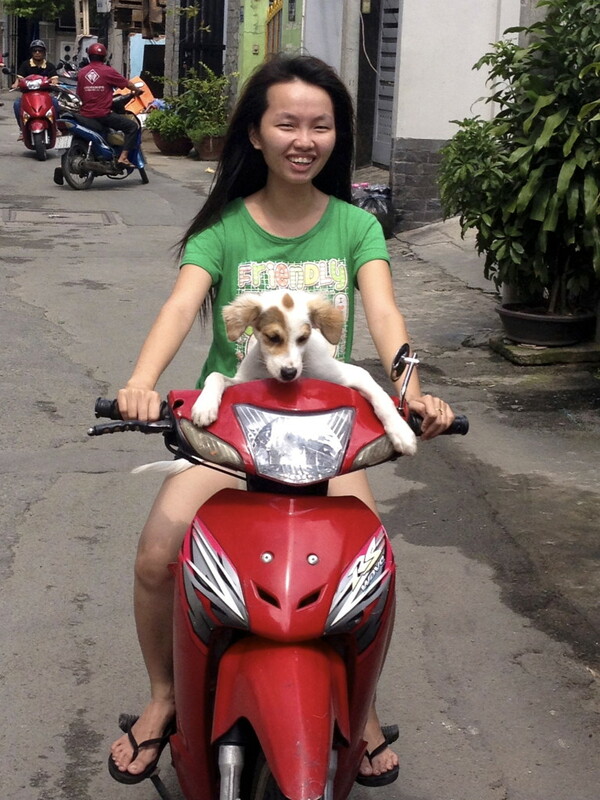 Address: 59 Ho Xuan Huong street, District 3, Ho Chi Minh City, Vietnam. 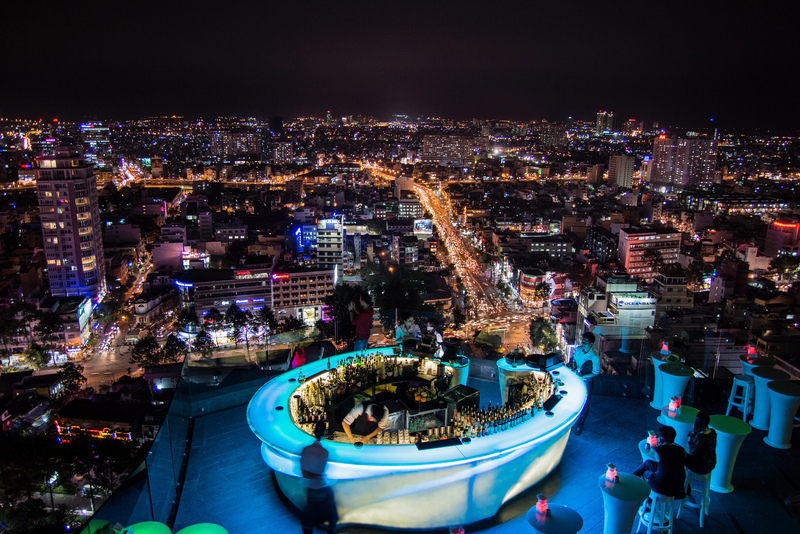 If you’re looking for the best views in Vietnam, look no further than SkyBar. With panoramic views of the city below, you’ll feel on top of the world at this western institution.